There are very few things that can melt a person’s heart like an adorable picture of animals. Animals are capable of surprising us with their behavior and we tend to go over the moon when we see them behaving human in any way. They are capable of high levels of intimacy, and they constantly spend time showering affection on their companions. Animals like to use other animals as pillows, just like we do with our closest ones, and this list features 10 of the cutest pictures of animals being used as pillows. There is no such thing as natural enemies when you take animals out of the wild. 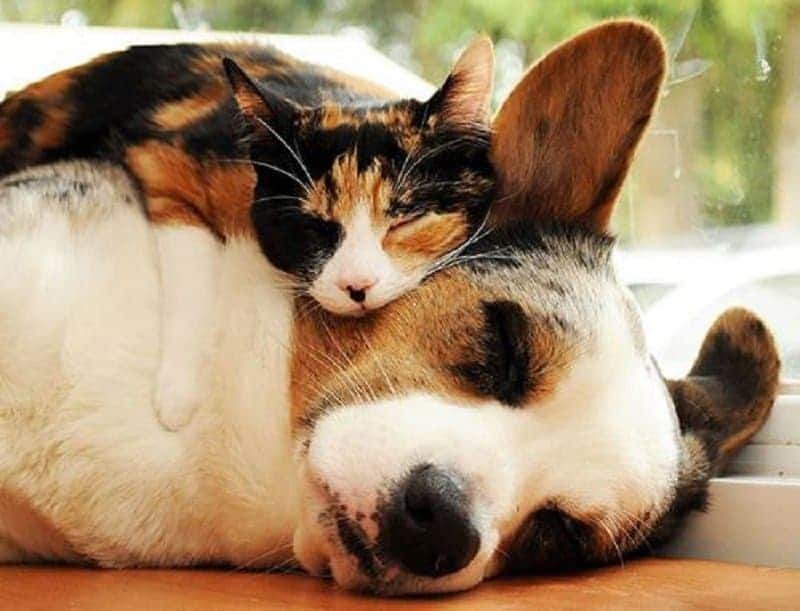 This picture of a cat and dog sleeping with each other proves just that. 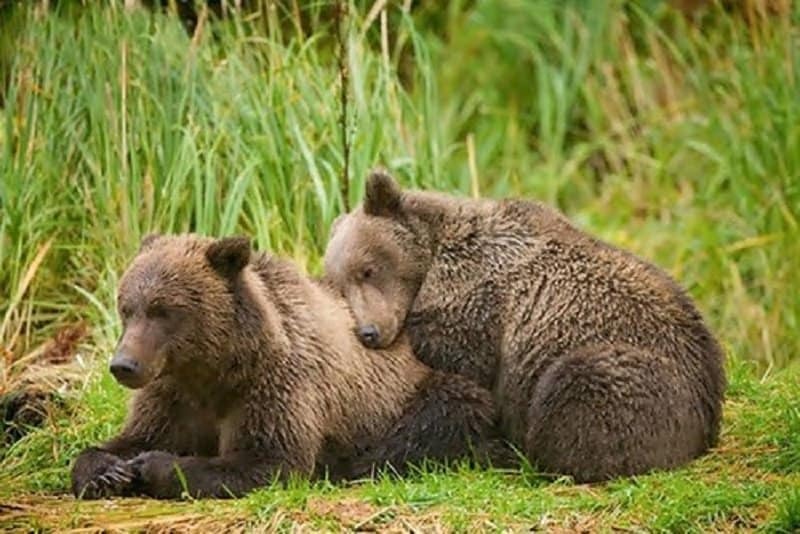 Nothing cuter than watching a real life bear hug. 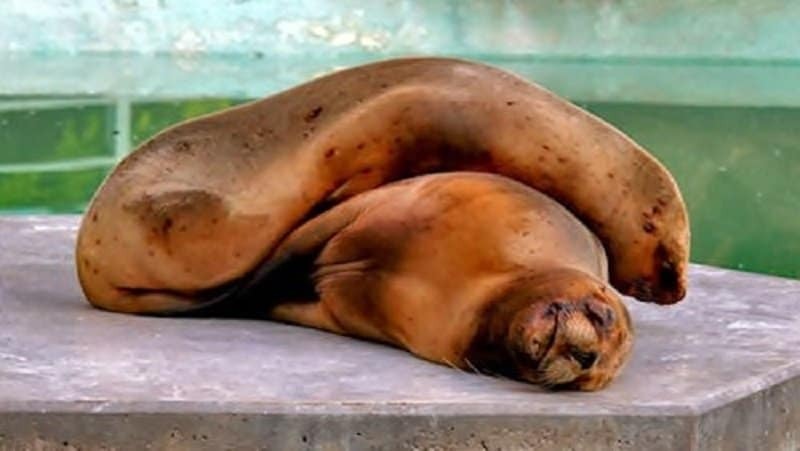 These Seals look extremely comfortable even though one of them is exerting its entire body weight on the other. 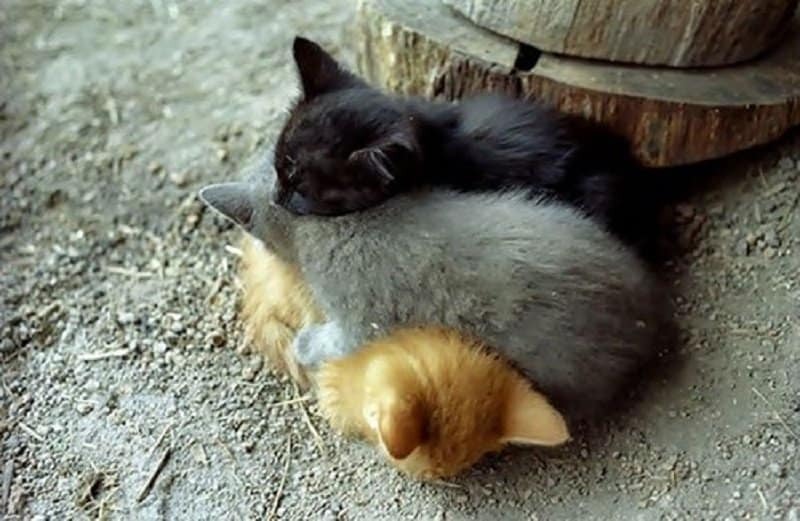 These kitties have huddled up to create a truly adorable moment. 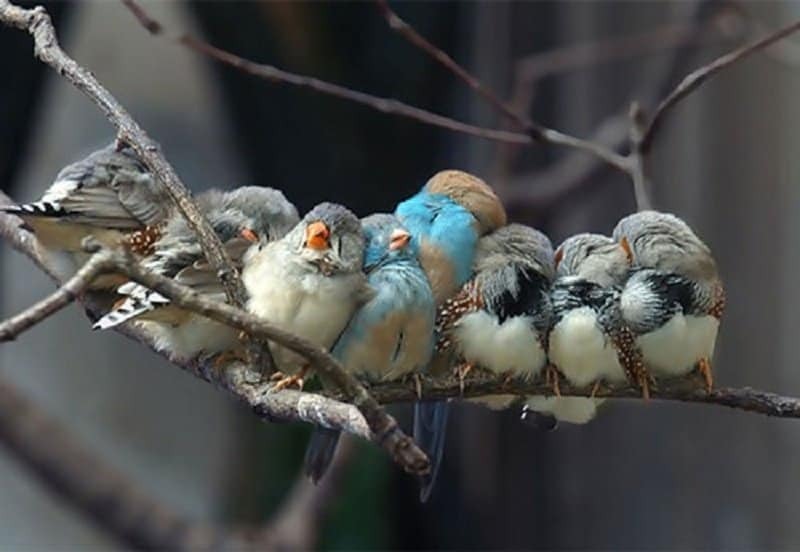 These birds must be a flock without a doubt. The blue one in the middle getting squished looks the cutest of the lot. 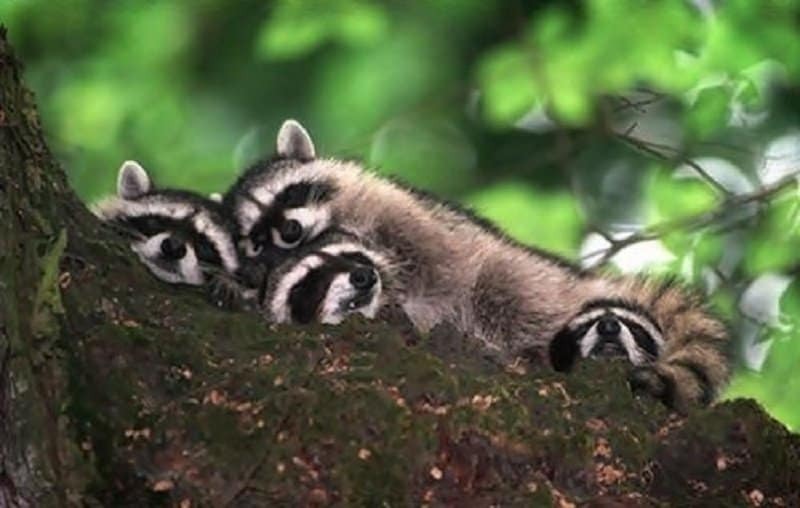 Raccoons are usually up to some mischief or another, but even they look extremely adorable when napping on each other. 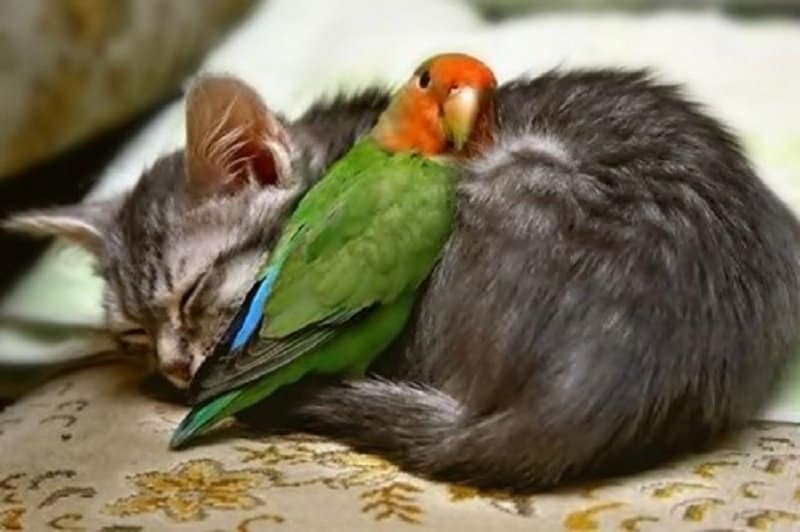 Unlike Sylvester and Tweety, this animal duo seem to share a special bond that doesn’t involve the food chain. 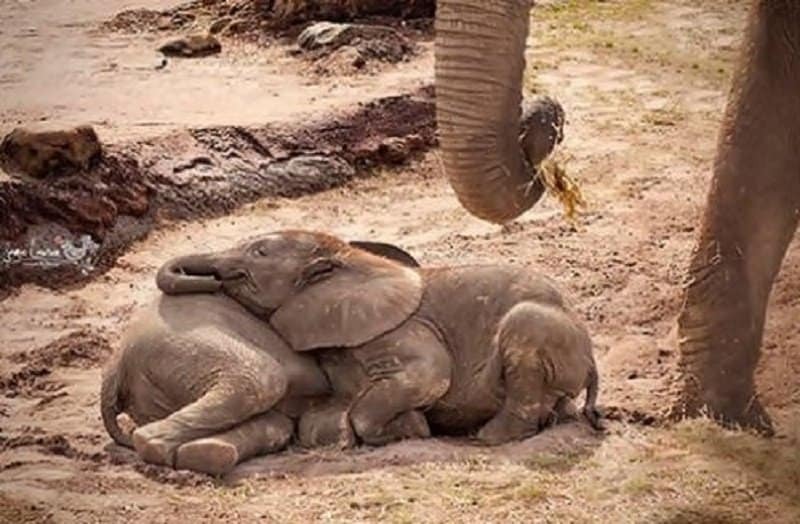 It is a good thing that animals don’t sleep on beds, otherwise these elephants would need something special after they grow up. 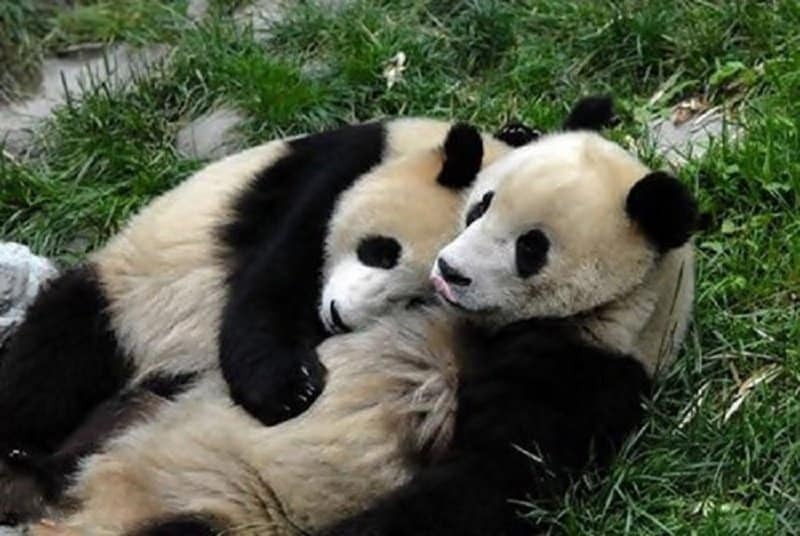 This looks like a truly intimate moment between these Pandas and I feel like we may be intruding. 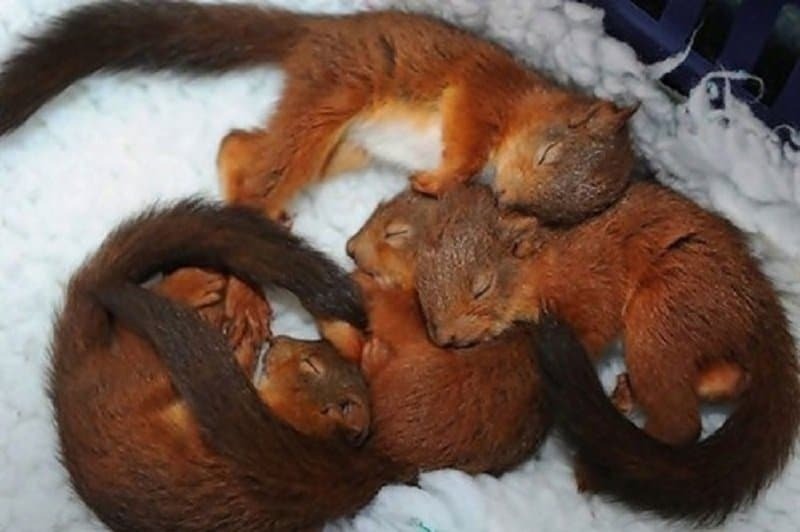 Squirrels are generally very adorable, but stack them up like this and they just rise to the top of the ‘cute chain’.